The companion film to the revolutionary and controversial documentary THE ACT OF KILLING (2012), THE LOOK OF SILENCE revisits Indonesia’s genocide, but takes a new approach to exploring the local devastation caused by former death-squad leaders. After capturing the re-enactment of mass-killings in various cinematic genes in THE ACT OF KILLING, this time Joshua Oppenheimer shifts his focus of study from the oppressors to the victims. He documents a family that has survived the Indonesian genocide and are forced to live surrounded by the killers of their family member. 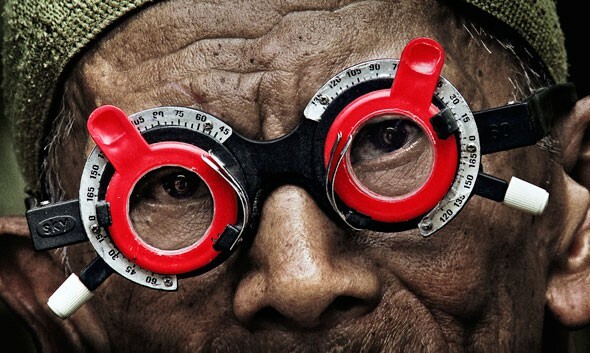 It was through Joshua Oppenheimer’s work filming perpetrators of the Indonesian genocide, that the family of survivors discovers how their son was murdered and the identity of the men who killed him. The youngest brother, a 44-year-old village optometrist, is determined to break the spell of silence and fear under which they live, and so confronts the men responsible for his brother’s murder. THE LOOK OF SILENCE explores what it is like to be a survivor of genocide, and how families cope with living in a country where the killers remain in power. Born in the United States, Joshua Oppenheimer is based in Copenhagen, Denmark, where he is a partner at the production company Final Cut for Real. Oppenheimer has worked for over a decade with militias, death squads and their victims to explore the relationship between political violence and the public imagination. Educated at Harvard and Central Saint Martins, his debut feature-length film was THE ACT OF KILLING (2012). Oppenheimer is artistic director of the International Centre for Documentary and Experimental Film, University of Westminster. "A stunning companion piece to the extraordinary The Act of Killing"
"The Look of Silence is profound, visionary, and stunning"